We spend half of our lifetimes sleeping so having the perfect mattress is crucial. 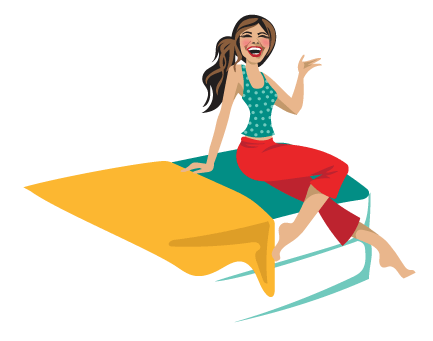 Now, there are clearly “foam people” and then there are the “spring people.” If you’re one of the latter and in the market for a new spring mattress, you’ll find plenty of helpful tips in this post to choose the perfect spring mattress. Spring mattresses have been around for a long time. Chances are your very first mattress was a spring or coil mattress. These steel coils were mainly added in the middle layer and provided support as well as a great bounce to the bed. These days however, huge coil springs are hardly ever used. Majority of the spring mattresses today contain “microcoils” instead. These are directly infused into the upholstery as the mattresses are built. These are often referred to now as innerspring mattresses. However, because they’re difficult to manufacture and shipping is a bit more tedious, there are very few online-only companies that offer these types of mattresses. Don’t worry though because even if there are only a select few, the spring mattresses in the market are of pretty good quality. Choosing the Perfect Spring Mattress: Why Pick a Spring Mattress? Well, ask your inner child and it would probably exclaim – for the bounce! And yes, spring mattresses are known for that wonderful bounce. But of course, nowadays you get more than that. People with a heavier build find these mattresses perfect for the pushback it offers. It provides great support while cradling the pressure points as well. The next 3 spring mattresses are my current favorites and I think you’ll love them too. These, however, are based on my personal experience so if you have any other thoughts or alternative recommendations, feel free to comment below. Despite being a relatively new company, WinkBeds has won over the hearts of those who love the feel of foam but are spring lovers at heart. 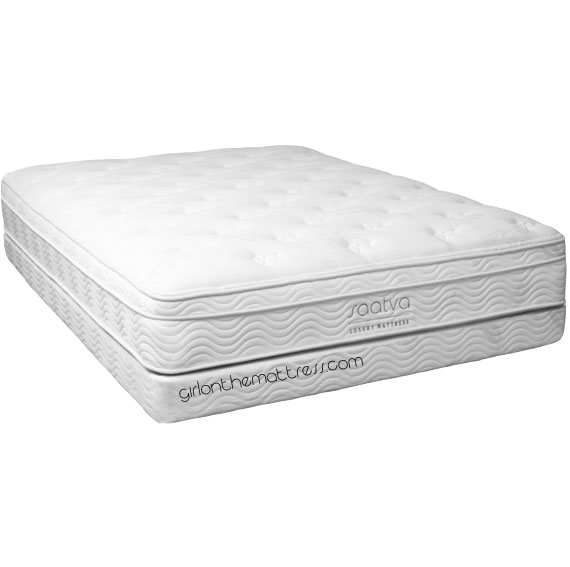 Their hybrid mattress provides a 2-inch cushy foam top layer made from hypersoft/gel foam. This combination allows you to get an amazing bounce, perfect for intimate stuff while also giving you comfort and fantastic support. Overall, you get 15 inches worth of mattress and this makes a lot of difference on your sleep. The mattress sleeps cool throughout the night and while there’s slight motion transfer when you settle in the first few minutes, personally, I didn’t have a problem having a good night’s rest on this one. I also love how it looks. Something about the quilted button design and the elegant blue dotted accent makes it a classic. And don’t forget, the cover is the soft beautiful cover, tencel. You want social proof. They’re relatively a new brand so you won’t find that many reviews about them just yet. You like an all foam feel. The 2-inches of foam top is amazing but the spring underneath does give off a unique feel as opposed to having it just all foam. You want to try out the bed in store. Since it’s only online, you can’t do that. You like you sleep on thin or normal size mattresses like 10 inches. Winkbeds are much thicker like 15 inches. Hmm.. You don’t like bouncy feeling?? The Saatva Mattress delivers when it comes to great comfort, bounce and price. In fact, that’s one reason why I would recommend it because the price is significantly more affordable compared to the other innerspring mattress brands out here. This hybrid “coil on coil” mattress comes in three firmness options which is another plus for those who a bit finicky. Most people go for the “Luxury Firm” option but keep in mind it’s slightly firmer compared to what you might be used to. Paired together with the innerspring construction is a bio-based foam at the top layer, which allows the bed to sleep cool throughout the night. Also, out of the three companies mentioned here, Saatva is the only one that uses recycled steel and bio-based foams for a more Earth-friendly construction. Read my full review here. Prefer that memory foam, sinking feeling. You won’t get that here. Even if you go for the softer options, it would still be firmer and won’t allow you to “sink” into the mattress. You don’t like the bounce. You’re probably already familiar with the Leesa mattress, but did you know there’s a new kid in the block? The Sapira! This mattress is made by Leesa and marks the first sister mattress they’ve created. What makes the Sapira different, you ask? Well, it’s designed for the luxury sleeper. The Sapira is a hybrid mattress composed of 5 layers of foam and coil to provide a restful sleep. The mattress is 11-inches thick and composed of performance foam, memory foam and transition foam for the first three layers with a 6-inch pocketed coil layer and a 1-inch base foam. The coil provides a wonderful bounce while giving amazing support even for heavier sleepers (which Leesa didn’t have). The Sapira is designed to give you enough sinkage with an equal amount of pushback so you feel supported without that sinking feeling. Edge support is great on the bed and it offers a medium to firm overall feel. The best part is that it can accommodate heavier sleepers (up to 350 pounds.) Of course, for the amazing construction and support, it also commands a higher price. Check out the details below. You don’t like a medium or firm feel on your mattress. You want to save a few bucks as Sapira is a bit more pricey. You don’t like a hybrid mattress. Finding the perfect spring mattress or any mattress is a very personal choice. However, I hope you could use this mini guide to lead you in the right direction. Thanks for all your advice! Great site! You know so much, so I would appreciate your input to help me make a decision on a new mattress. Just sent you an email.. A bit long..
Hi! I have the same needs as Kat except I’d also prioritize motion transfer. I’m a light sleeper so really need the bed not to shake when my partner gets up. I was considering Saatva but not sure … advice? I have same question… side sleeper, backpain and motion transfer control. Looking to replace Sterns & Foster coil with a hybrid. Can you share same email feedback? Thanks in advance! Can you recommend? My husband has back problems and has been told to look for a firm mattress. I like firm, with a pillow-y feel on top. Neither of us like the “sink into the mattress feel” of memory foam on top. I guess that means we like bounce. We have looked at Brooklyn Bedding and Saatva hybrid beds…and also at Sappira and Wink…and of course we cannot figure out which would work best for us. Oh, we are middle aged folks and love to sleep. OH….We are stomach and side sleepers!